With Amazon developing drone delivery and more research being conducted on unmanned aerial systems by groups such as NASA, it’s only a matter of time before drones become more commonplace. The arrival of cheap drones also puts them within reach for folks who previously weren’t able to afford light quadcopters such as the Blade 350QX series or the DJI Phantom. As more people enter the commercial and hobby drone scene, however, the prospects for drone crashes and accidents also multiply. Follow nine essential safety tips to help you have a better and safer flying experience—not just for yourself but for the people around you. Fly in good weather. Minimize a lot of problems by only operating your drone during ideal conditions. Good weather lets you not only fly your drone better but also keep track of it in the air. “Good" weather for drones is not limited to clear skies and the absence of rain. Sunny days with strong winds, for example, make flying a drone a more hair-raising experience. Observe line of sight. You always want to be within visual range of your drone so that you know where it is at all times and you don’t accidentally ram it into something. Steer clear of airports. Drones and airports typically don’t mix well. In fact, some drone apps include airports in their no-fly zones. Bird collisions are unavoidable but accidents involving drones really should not happen. In early 2016, for example, an Air France pilot had to switch from autopilot to manual flight controls to avoid a drone at Charles de Gaulle Airport in Paris. Watch out for interference. While flying under a bridge in Taiwan, one drone pilot's connection dropped and triggered the “return to home” function for his drone. Unfortunately, this feature made it fly straight up and smack into the underside of the bridge then crash spectacularly into the waters below. Remain alert for both physical and electromagnetic sources of interference that could affect your ability to control your drone. Don’t fly over people. This tip is best illustrated by the experience of skier Marcel Hirscher, who nearly got hit by a drone that was loaded with gear and fell out of the sky. If it happened just two seconds earlier, he would have been seriously injured and possibly even killed. Then you’ve got incidents of drones being shot out of the sky by people who are out hunting. Remember, not everyone is a fan of drones. Don’t fly over someone else’s house. Unless you’ve got permission and a really good reason to do so, you shouldn’t fly over other people’s homes. 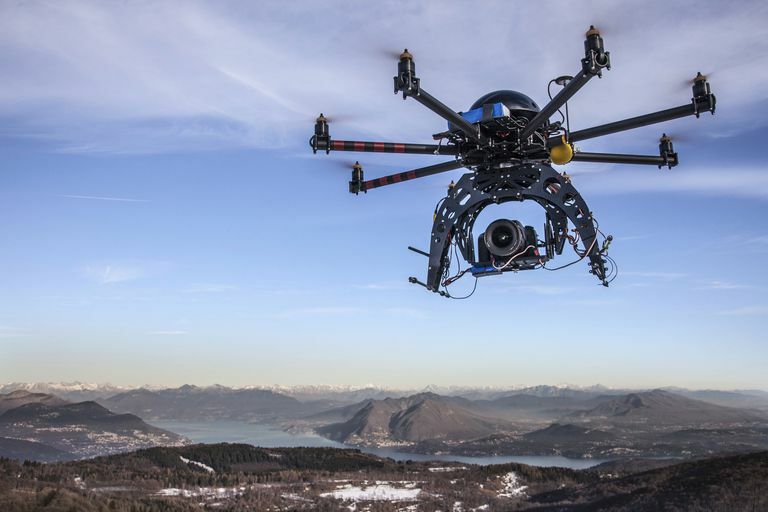 If someone spies your drone, especially if it has a camera, conflict can escalate quickly. Some folks have been known to throw rocks at drones while others have even used shotguns to shoot them down. And if your drone just happens to crash by itself and in the process, injures a child or pet, you could be liable for civil or criminal penalties. Don’t fly above 400 feet. The higher you go, the higher the chance that you’ll start running into things like airplanes and hang gliders. If you do notice any flying vehicles in the vicinity, make sure you defer to them, especially since they won’t always be able to see your drone. Don’t fly over roads. This guidance especially applies to busy thoroughfares such as freeways and major roads. The last thing you want is a drone dropping from the sky onto a busy expressway and causing a major accident. Don’t fly above military bases. Military authorities do not like unplanned incursions by non-military surveillance assets. In 2017, the Department of Defense authorized military leaders to shoot down drones flying over more than 150 different defense bases and related installations. What Are the Do's And Don'ts of CD Copying and Ripping?